Failing and failure requires taking risk and taking risk, by its nature, implies what you are about to do may not be safe. Today the House of Representatives passed the new Safe Harbour legislation; arguably the biggest shift in the restructuring landscape since the introduction of the voluntary administration regime in the 1990s. Effectively, the new law will result in directors being able to “trade on” their company when its solvency is questionable. The legislation will take effect upon royal assent which is expected in the coming days. The legislation doesn’t remove the insolvent trading laws. However, once a director enters a ‘safe harbour’, they are deemed not to be personally liable “where they take a course of action that is reasonably likely to lead to a better outcome for the company and the company’s creditors as a whole”. Effectively a licence to be insolvent but only whilst inside the harbour. Australia’s insolvent trading laws are some of the toughest in the world, designed to protect creditors through the imposition of a positive obligation on directors to avoid trading whilst insolvent. However, the laws have been criticised as driving directors to limit personal liability by prematurely seeking the appointment of a voluntary administrator in circumstances where a company is still viable. This, combined with the erosion of value of the company when placed into a formal insolvency procedure due to loss of key contracts and assets, worked against the intended purpose of the voluntary administration regime. Successfully restructuring a distressed business is hard to do. It requires compromises and trade-offs in a high risk and emotionally charged environment. In our experience, we often see directors cloud their judgement because of the risk of being personally liable for the debts they incur. A safe to fail regime, as envisaged by the Safe Harbour legislation, will do a lot to assuage the concerns of directors who do the right thing to find a solution that results in a better outcome than the immediate appointment of an administrator. Effectively, the ‘better outcome test’ is the legislative equivalent of being safe to fail. A better outcome is one where the onus is placed on directors to take appropriate steps to, amongst other things, obtain expert advice and prepare a restructuring plan. 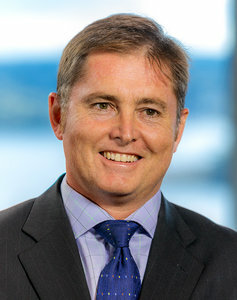 Evidence of a course of action provides directors with a defence where they won’t be held liable for debts incurred in connection with the course of action they take. Taking advantage of the Safe Harbour legislation won’t all be plain sailing. A number of aspects of the legislation will need to be tested in the courts. For example, the concept of a course of action that is “reasonably likely” to lead to a better outcome. What does reasonably likely mean – is it merely a fanciful plan to restore the company to better days, or does it require a higher test. Proponents against safe harbour argue that poorly run companies should not be given more time to worsen circumstances or gamble with other people’s money, that during safe harbour, no one is responsible if debts are incurred but not paid. This would be a reasonable view if all Directors of failing companies were hopeless individuals, crooked and should not be given a second chance. The reality is far different in my experience. Most directors have strong relationships with their employees, suppliers and customers and have a genuine desire to restore performance in a distressed business and preserve those relationships, jobs and personal wealth. The changes don’t remove the role of the courts and subsequently appointed liquidators (if appointed) to call to account those directors and their advisers who purposefully seek to rip people off. The onus will still be on director to prove that they’ve satisfied the safe harbour qualification criteria Retaining turnaround professionals is a central element of a director’s defence. Industry groups like the TMA have published helpful guidelines for its membership to navigate Safe Harbour. However it’s one thing to satisfy the legislative requirements of the Safe Harbour, it’s another thing to actually undertake the turnaround. The legislation supports the idea that advice be taken from an appropriately qualified entity. Evidence of this would include documentation of any specific advice sought and obtained, plus the engagement of a recognised turnaround professional. Whilst the Safe Harbour reform is welcome news, ultimately recognising early signs of distress and subsequent intervention by company directors when these arise remains the best way to achieve a better outcome for the company. 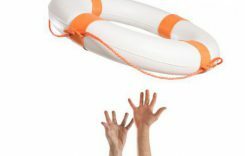 The stigma in the Australian market associated with the need to call for help continues to result (sadly) in the high volumes of insolvencies in Australia and until this changes no amount of legislative reform will make a difference. But the changes are big news and make for a good start. A good read, thanks Carl. This is another step towards encouraging the national drive towards innovation and growth. – there is a delayed and slightly complicated commencement date – it is possible that it could apply on from 1 July 2018 – watch this space. Between now and commencement, status quo! – the new law is aimed at providing protection against civil penalties. A breach of insolvent trading may still result in criminal penalties. Myself or any other colleague of KPMG Law is very happy to assist and work with your team in this area!